Last Saturday, we, Japan PostgreSQL Users Group, had the first PostgreSQL "Unconference" in Tokyo. The event had about 40 participants and 17 talks in 4 hours, and it was successfully run by the participants. As you may know, "conference" requires its host to arrange the program *much before* the event starts. As opposed to that, "unconference" doesn't. "Unconference" is filled with many short talks, typically 10 to 20 minute ones, which need to be arranged at beginning of the event, and running multiple (two or more) sessions at the same time to give a chance to participants to find a topic they are interested in. What we did and what we saw there. "Welcome to *the most unprepared event* we've ever had! :) Now is the time to start arranging our program. Please write down the title of your talk on the post-it note, and put it on the white board." 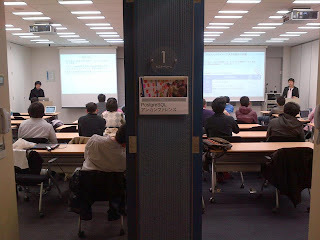 The white board was filled with lots of talks soon, and the event started. It was very strange, but interesting. I guess the partcipants enjoyed it, because there were many interesting talks and these were often running at the same time. The most important thing I have learned is that "unconference" is one of the most powerful tools to involve people into the community with empowering them. Unconference never succeeds without participants' engagement. In other words, running unconference requires maturity of the community. So, running unconference would show what the community actually can do. The second thing I have learned is that the key to successful unconference is "people". People coming to an event would attract other people (or potential participants) the most to come to the event with expecting "something new". Of course, it seems to be similar to regular conference, but unconference does not have a program before it starts, so showing "who is coming to the event" is more important for running unconference. 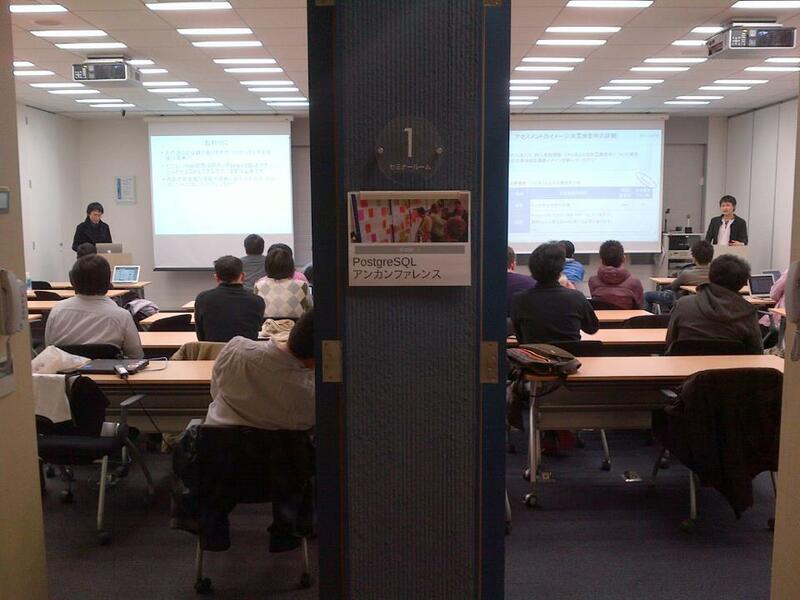 This time, we used ATND, the most popular RSVP app in Japan, to collect RSVP and share the participant list. The third thing is that making entry-barriers lower is another key to involve people, and unconference needs to be designed to do it. Short session would make participants being confortable about preparation. Discussion session (not tech/dev presentation) too. We had many kinds of short talks at the event, including discussion session, but no one needed to prepare for one hour talk. I think this is another reason why we could have such successful unconference with lots of speakers this time. This year, the unconference day will be held on the next day of pgcon. 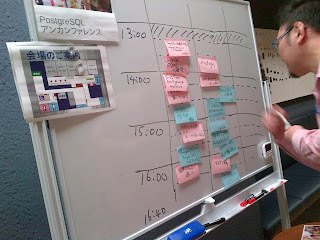 If you will go pgcon, and it's hard for you to have one hour talk there, the unconference day would be a good opportunity to have a small talk with fun. Let's prepare to have a short talk to share your experience and/or idea there.